The vulnerability, dubbed "GHOST" and assigned CVE-2015-0235, was discovered and disclosed by the security researchers from Redwood Shores, California-based security firm Qualys on Tuesday. Also Read: Top Best Password Managers. 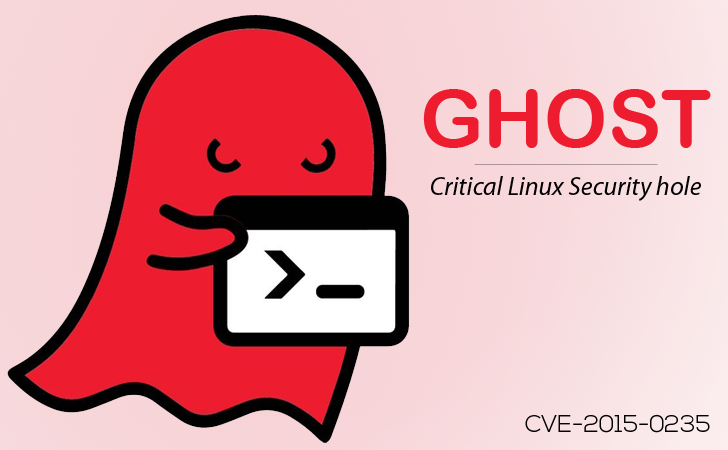 The vulnerability in the GNU C Library (glibc) is dubbed GHOST because it can be triggered by the library's gethostbyname family of functions. Glibc is a repository of open-source software written in the C and C++ coding languages that defines system calls. Also Read: Deep Web Search Engines. Using the exploit, an attacker is able to craft malicious emails that could automatically compromise a vulnerable server without the email even being opened, according to Amol Sarwate, director of engineering with Qualys. So far, the company has not published the exploit code to the public but eventually it plans to make the exploit available as a Metasploit module. "Unfortunately, it was not recognized as a security threat; as a result, most stable and long-term-support distributions were left exposed (and still are): Debian 7 (wheezy), Red Hat Enterprise Linux 6 & 7, CentOS 6 & 7, Ubuntu 12.04, for example," researchers from Qualys said in an advisory published Tuesday. Red Hat, the No. 1 provider of Linux software to businesses, recommends its customers to update their systems "as soon as possible to mitigate any potential risk."